The anticipated depletion of fossil fuel has caused the production of alternative fuel sources to become an extremely important field of industry. Many less developed countries in South East Asia promote mass production of biofuel crops as a primary export. Palm oil, used in cooking as well as biofuel, is one of the main exports from Indonesia. The high demand of palm oil has led to a rapid increase of oil palm plantations, leading also to massive deforestation. 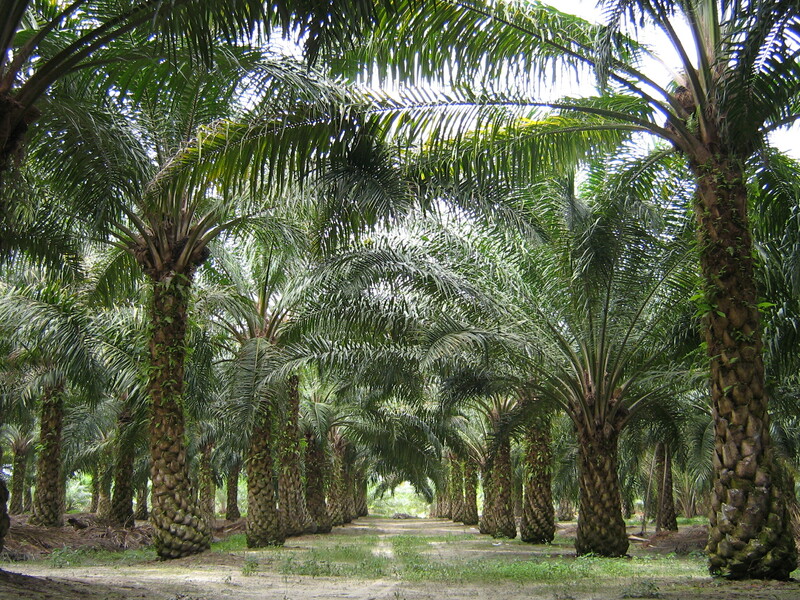 Riau Province is one of the largest oil palm producing regions. From 1990s to 2012, there has been a significant decrease of forest in the region due to the boom of oil palm plantations. Ramdani and Hino (2013) analyze satellite imagery and greenhouse gas emissions from different time periods to determine the scale of deforestation. The results show that in the Riau Province, the oil palm industry rapidly increased from 1990 to 2000, with transformation of tropical forest and peat land as the primary source of emissions. With the advancement of biofuels, the demand of raw materials increases; palm oil is commonly used in biodiesel due to its high performance and efficiency compared to other biofuel crops. Two major exporting countries of palm oil are Indonesia and Malaysia; with the lower cost of labor and land, the oil palm industry grew rapidly in regions of these two countries. The conversion of forest or peat land into oil palm plantations causes the loss of carbon stored in land, and the emission of greenhouse gas avoided by using biofuel can hardly replace the loss of carbon from deforestation. A study done by Danielsen et al. (2009) shows that more than 90 years is needed to restore the carbon lost when converting forest land for biofuel use, and more than 600 years is needed for peat land conversion. It becomes a major concern not only because of the loss of carbon, but also because of the decrease and change in biodiversity within the forest. Indonesia is one of the top greenhouse gas emitters; largely due to the forest and peat land conversion as well as the illegal logging and even forest burning. The authors looked at Riau Province, one of areas with the most concentrated oil palm plantations. They examined satellite images of land cover classification in three different time periods, analysis of oil palm expansion in different land types, and measurements of greenhouse gas emission in the area. In the 1990s and 2000s, total CO2 released to the atmosphere in Riau Province was estimated at 26 million tons per year, and forests were 60% of the CO2 emissions source in this period. After 2000s to 2012, total CO2 released to the atmosphere was estimated at 4.9 million tons per year, where only 30% of the CO2 emissions were generated from converted forest. The data show that in the Riau Province, the oil palm industry boomed in this period and the decrease in forest-emitted CO2 explains the massive deforestation; the CO2 emission level of peat land also decreased by half from period of 1990s to 2012. It is suggested that peat land and forest has high carbon level storage and not recommended for biofuel cropland; however, grasslands are highly recommended because it takes 10 years or less to balance the carbon level. This entry was posted in Agriculture, Agriculture and Climate Change, Biodiversity, Biofuels, Chieh-Hsin Chen, Deforestation and tagged Fatwa Ramdani, greenhouse gas emissions, Indonesia, Masateru Hino, oil palm, palm oil, plantation, Tokyo University, tropical forest conversion by Emil Morhardt. Bookmark the permalink.